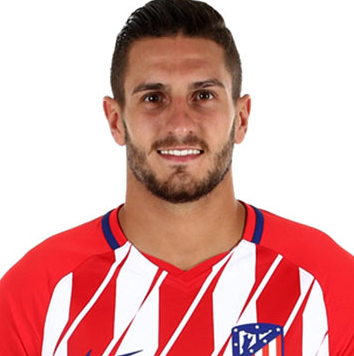 Jorge Resurreccion Merodio, popularly known as Koke is a very charming football player who is currently playing for Atletico Madrid and Spain National Team. He is a very brilliant player and well known to overall the world due to his great performance in the football field. He plays in Midfielder Position and makes a great pass to his teammates. In his career of football, he had played for Atletico Madrid B. Now, he is in Atletico Madrid. He plays in this team by wearing jersey number of 6. He has lots of fans supporting him. Koke was born on 8th January 1992. His full name is Jorge Resurreccion Merodio. His parent's details have not been revealed fully. He was born in Madrid, the city of Spain. He belongs to Spanish nationality. His sun sign is Capricorn. He was determined to make his career in football world since his childhood. 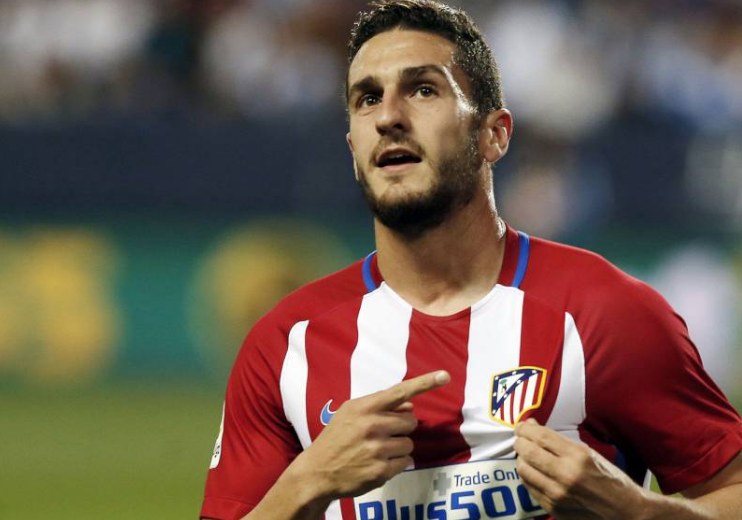 Handsome and Charming player, Koke has got great body personality. He manages his body greatly. His balanced height is 1.78 m and weight is 73 Kg. His body personality also attracts many viewers. Koke began the football journey with Atletico Madrid youth club when he was just the age of 8. On 19th September 2009, Koke made his team debut playing against FC Barcelona with losing a score of 2-5. On 26 February 2011, he scored his first league goal for Atletico against Sevilla FC. In the season of 2011-2012, he scored his first league goal on 29th April 2012 against Real Betis. In the season of 2013, he scored his first goal on 1st September against Real Sociedad. He was also named as the La Liga Player of the Month. He scored his first goal against Barcelona in the UEFA Champions League on 9th April 2014. Later, he has signed a 5-year contract with this club, Atletico Madrid on 25th June 2014. He scored a single goal in the season of 2015-2016. On 23rd October 2016, he got two Yellow Cards playing against Sevilla and was sent off. The team lost the game with a score of 0-1. On 1st April 2018, he entered the top 10 appearance makers in Atletico history with his 361st against Deportivo de La Coruna. Brilliant Player, Koke had represented himself in his national country, Spain in both senior as well as junior levels in many tournaments. He had played Spain U16, U17, U19, U20, U21, U23 and many more tournament. He was also the part of Spain U20 that reached the quarter-final of 2011 FIFA World Cup held in Columbia and in the game, he missed his penalty against South Korea. He also played 2012 Summer Olympics. He was named as the Team of the Tournament U21 when Spain won against Italy in final. On 14th August 2013, he made his debut for the Senior team. He also played 2014 FIFA World Cup and was also selected for the 2018 World Cup Russia. Koke is a married man. He tied knot to his wife, Beatriz Espejel. They are living very peacefully till now. There is no any rumors of separation about them. Koke is very dedicated person to his wife. They are spending their life happily. Koke is making a good source of income from playing football. The net worth of this excellent player is estimated to have $30 million and the salary is of around $7 Million. The current market value of Koke is $45 Million. Many followers of Koke can keep in touch with him through social sites such as Twitter, Fb, Instagram. More details can be obtained from wiki. He spent most of his career with Atletico Madrid. He played over 300 official games and winning six honours. Koke won the 2013 European Championship with the Spanish under-21 team. He represented his country at two World Cups and Euro 2016. Koke entered the youth system of Atletico Madrid at the small age of eight.